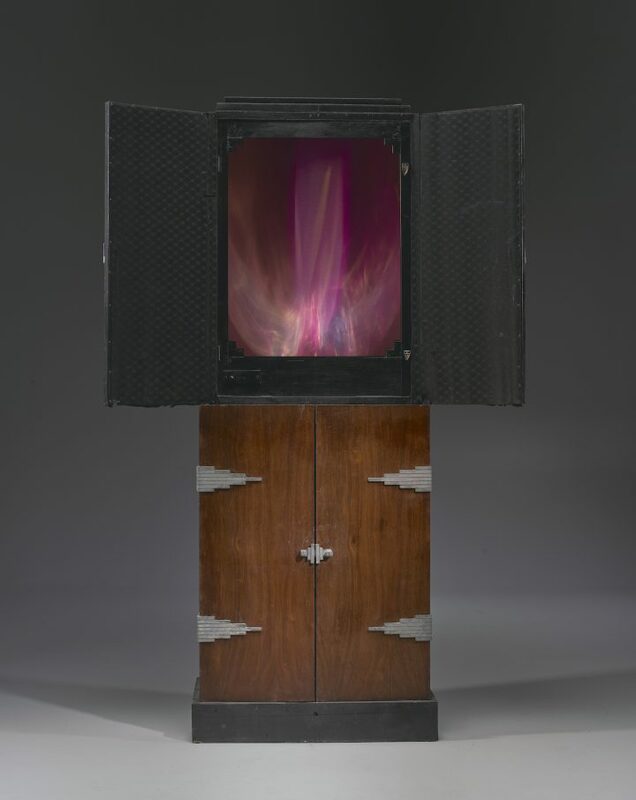 WASHINGTON, DC — About a century ago, a man named Thomas Wilfred began producing fantastic displays of moving light, cast in colorful and abstract forms. 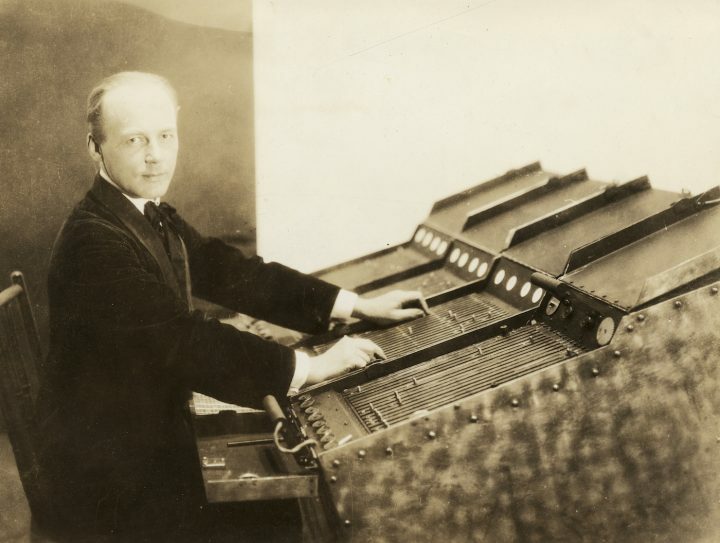 Some were projected from an organ-like instrument he built for live, theatrical performances; others unfolded in contained structures, like early color television sets. Born in Denmark in 1889, Wilfred received formal training in painting and sculpture at the Sorbonne but made light his main medium in the early 1900s. 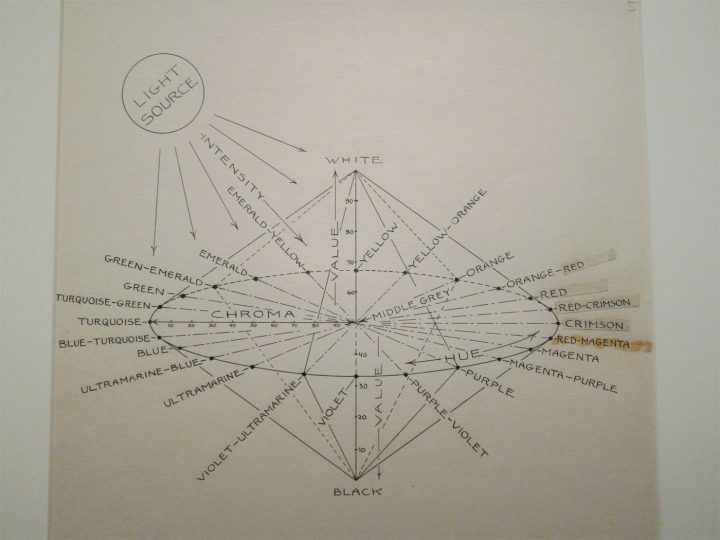 More than an artist, he was a skilled technician and engineer who devised an array of tools to project light. 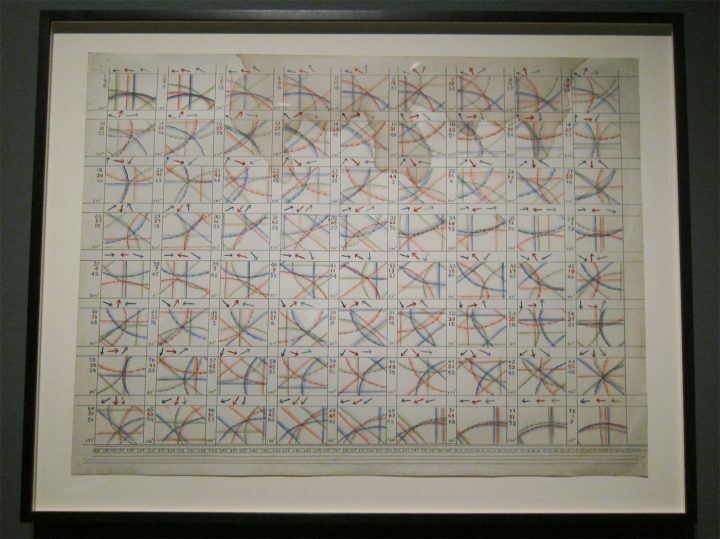 In 1919, Wilfred fashioned an instrument with a keyboard of dials that controlled a complex mechanism to shine his light compositions. 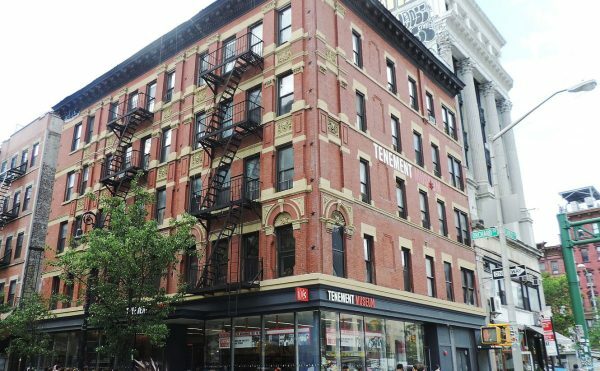 He named it the Clavilux, which, translated from Latin, means “light played by key.” This he performed for audiences in concert halls around the world, from his new home of New York City to Chicago; from London to Copenhagen. 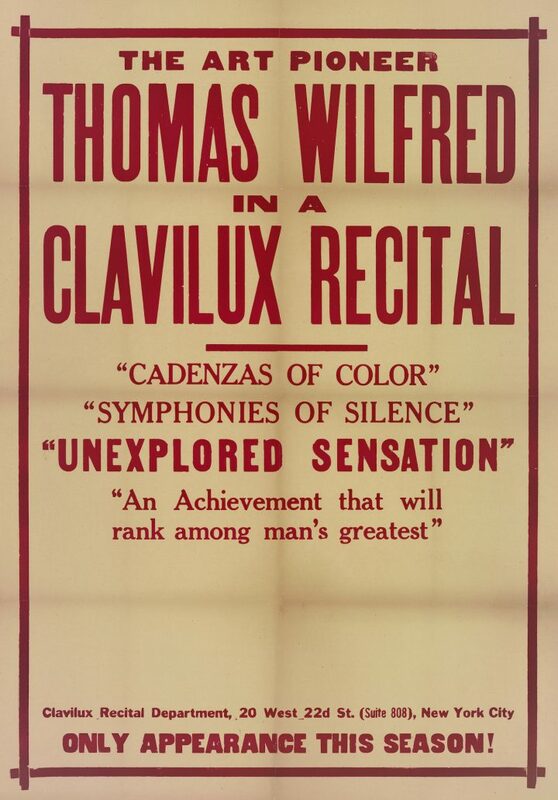 The glowing recitals were billed as “Cadenzas of Color,” “Symphonies of Silence,” and “Unexplored Sensation.” Although unaccompanied by music, Wilfred conducted his show like a musician, reading notations he wrote that recorded his compositions. He was a musician, too, skilled at playing the lute. 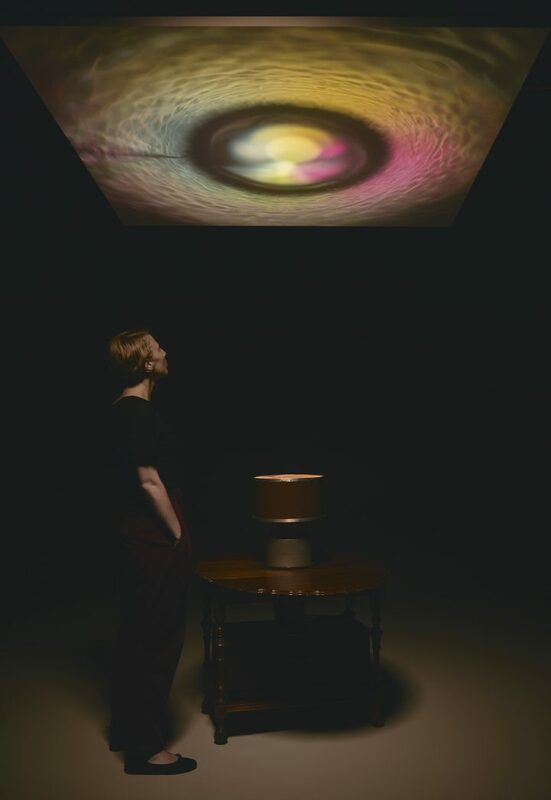 The lumia on view in the exhibition are intended for more intimate viewing, and many are contained within small structures that house similar mechanisms as Wilfred’s light organ. At their most basic level, these kinetic sculptures of sorts beam out the reflections of a lightbulb’s filament, and Wilfred experimented with various reflectors such as mirrors, aluminum, and glass to achieve different visual effects. 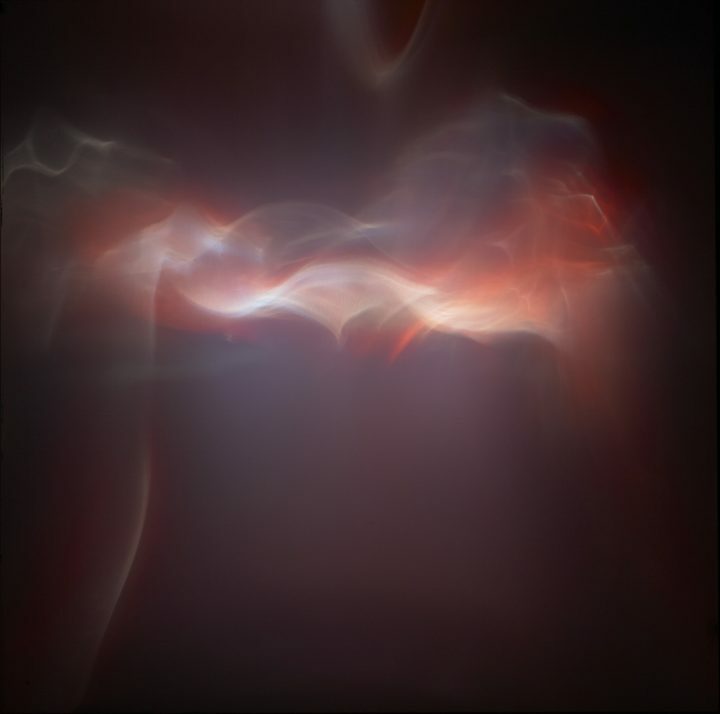 Some of the resulting lumia immediately bring to mind abstract computer screensavers, with their long, wispy threads of color. 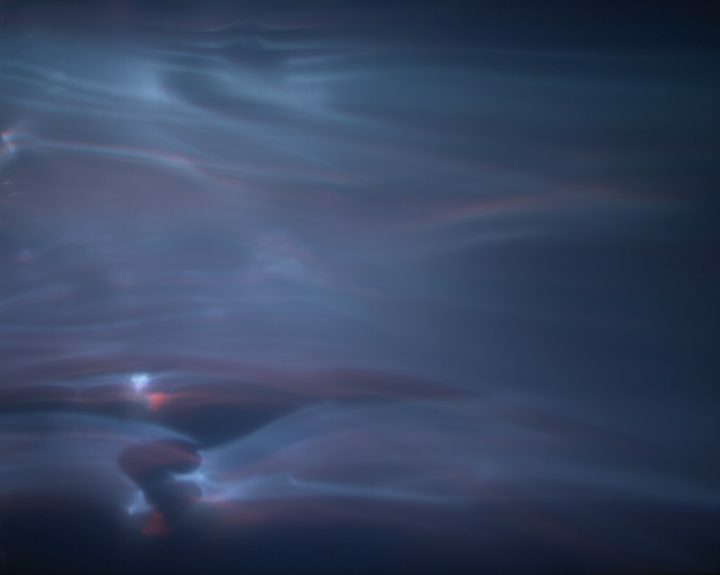 In others, I see rays of light as if seen from underwater; the slow drip of liquid gold; strange, bobbing jellyfish; and what I imagine to be the breath of spirits. One especially innovative Clavilux on view is a Clavilux Junior, a model Wilfred intended for the home, to make his machines as ubiquitous as the radio. It resembles a handsome cabinet, complete with Art Deco hinges and latches, which owners could open to reveal a screen where the composition flows. Clavilux Juniors came with “color records,” or painted disks that correspond to different compositions when inserted, as well as a remote control-like device that enabled people to modify the tempo, brightness, and color intensity. Silent as they were, Wilfred often titled his compositions as opuses and preludes. Many were indeed as grand as their names implied, particularly because of their durations. Wilfred’s lumia could span as short as five minutes to 44 hours to over a year. His most well-known work, “Lumia Suite, Op. 158” (1963-64), runs for a jaw-dropping total of nine years, 127 days, and 18 hours. 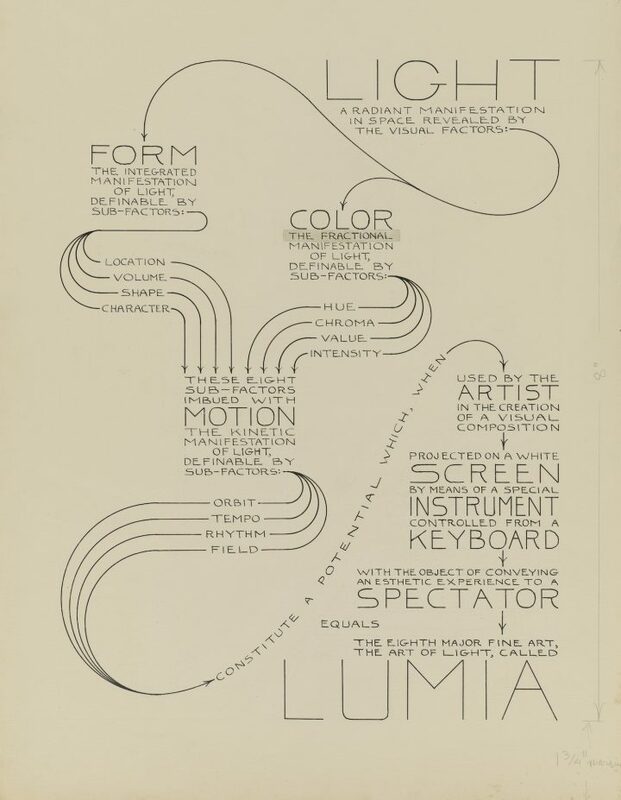 Commissioned by the Museum of Modern Art in 1963, “Lumia Suite, Op. 158” is projected onto a theater-sized screen, rather than within a box. It is comprised of three movements, like a sonata, that repeat with different forms and colors so the piece is infinitely changing. 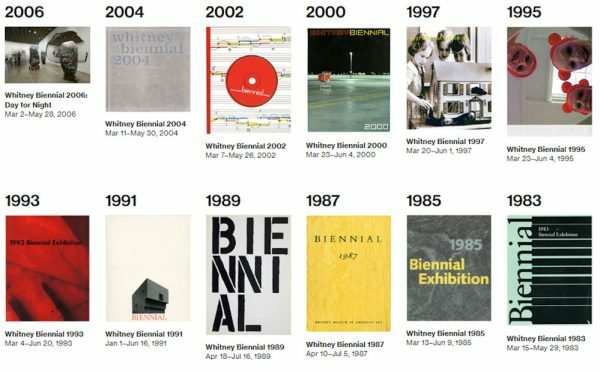 The following year, MoMA included the piece in its exhibition Fifteen Americans, showing Wilfred alongside artists such as Mark Rothko, Jackson Pollock, and Clyfford Still. “Lumia Suite, Op. 158” remained on near-continuous view for 16 years — long after Wilfred’s death in 1968 — after which it was removed and disassembled for maintenance. Wilfred had left behind a 50-page manual on how to restore it, and while this has served as an aid to conservators working on his other machines, refurbishing and caring for them remains a challenge. 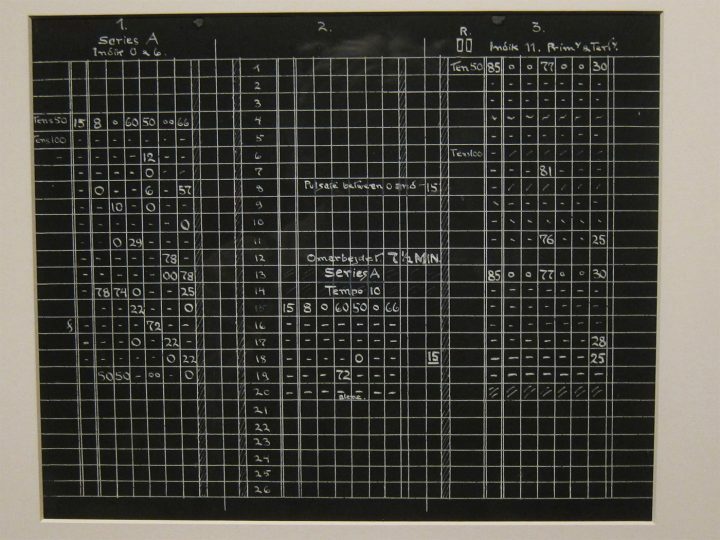 To prolong their lives, the Smithsonian has programmed some of the pieces to run for only a handful of times an hour. However, on a recent visit, more than a couple of them were not functional, which only underscored the immense upkeep Wilfred’s inventions need. Among these was “Unit #50, Elliptical Prelude and Chalice,” a Clavilux built to resemble a maple table that projects lumia on the ceiling. I hear it’s the most stirring one, with colors swelling slowly to resemble a storm. Wilfred had ambitious dreams for his lumia. 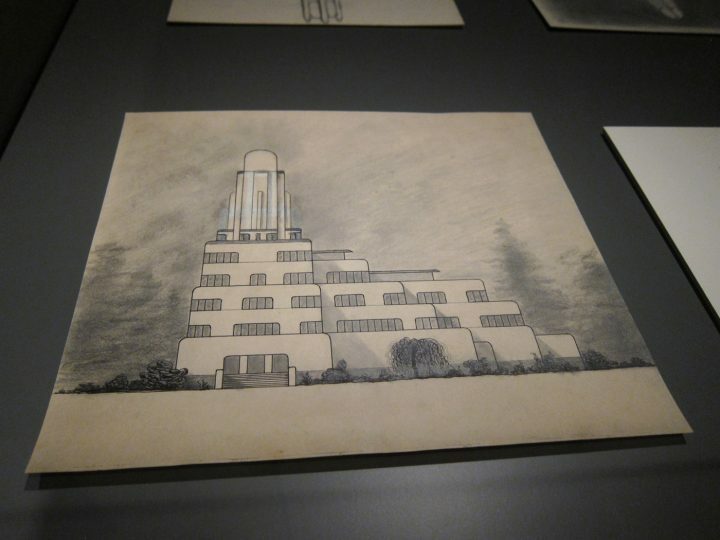 He envisioned erecting buildings in cities around the world, which would hold theaters for Clavilux recitals. 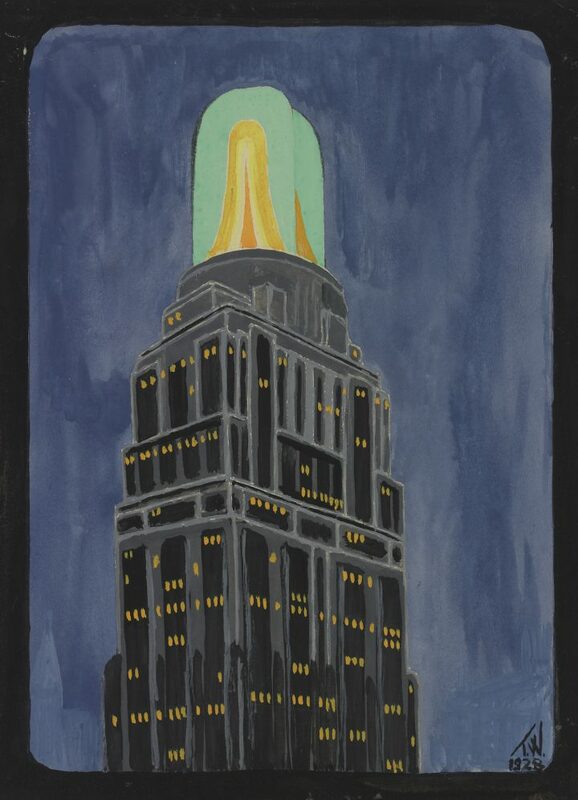 These “Temples of Light” were intended as sites for those seeking solace, and Wilfred depicted them in drawings as cathedrals, skyscrapers, and even Art Deco buildings, each with a bright beacon at the apex. 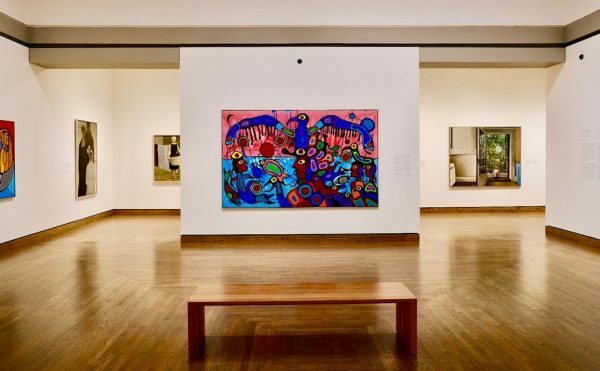 Yet, his art never spread as widely as he wished, and although it mesmerized many eyes in the midcentury, most of his compositions eventually went into storage. While many are now available to watch on YouTube, seeing lumia through another screen is a wholly different experience. 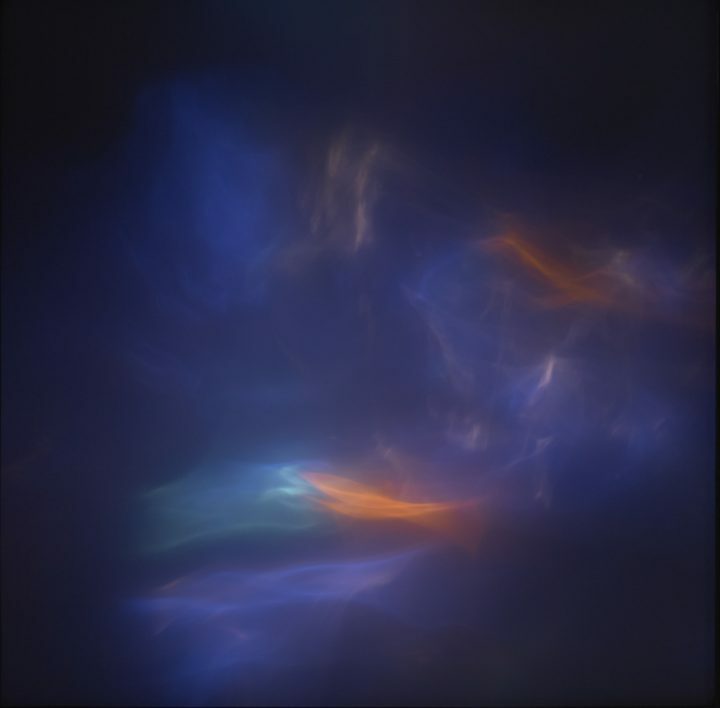 Part of their magic arrives from their sculptural form, from seeing these spectral shimmers float within heavy oak cabinets that conceal the science behind the dancing. Wilfred’s works requires patience (also, they don’t Instagram easily, which might frustrate some). 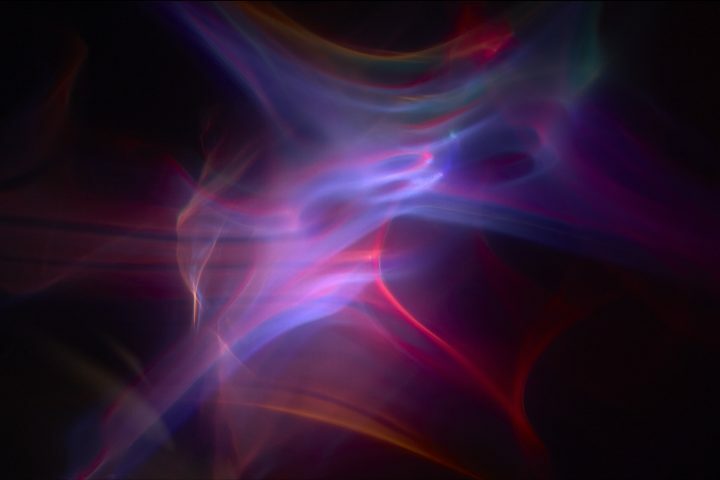 But even seen today, when light art is all around, lumia retain a quiet power to dazzle and confound. 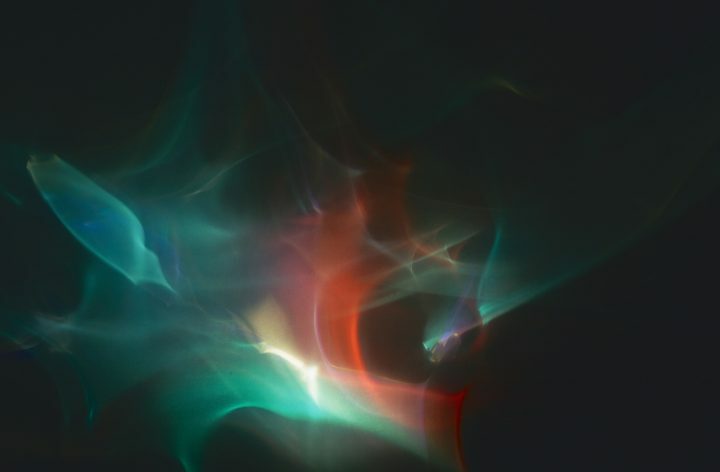 Lumia: Thomas Wilfred and the Art of Light continues at the Smithsonian American Art Museum (F St NW & 8th St NW, Washington, DC) through January 7.